This activity requires students to use context clues to determine the missing words. 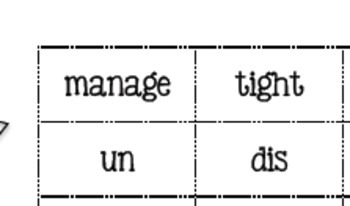 Each missing word has an affix and can be built using the parts of words at the bottom of the paper. After the students build the words, they then break each word into parts.